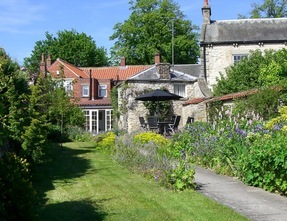 Eden House luxury holiday cottage in Pickering, UK. 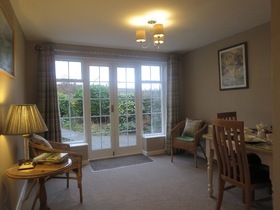 High quality holiday cottage within easy walking distance of Town Centre & NYMR. Private Parking, Guest Lounge & Garden. Eden House Holiday Cottage is a Grade II listed self catering cottage offering plenty of traditional character and charm, steeped in history, with the benefits of having been fully refurbished to a very high standard. 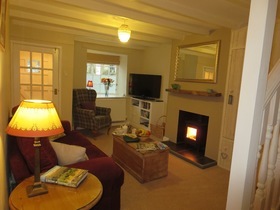 The spacious ground floor accommodation offers a lovely, cosy cottage sitting room with log burning fire, perfect for curling up beside in the cooler evenings after exploring the North York Moors National Park and surrounding areas. 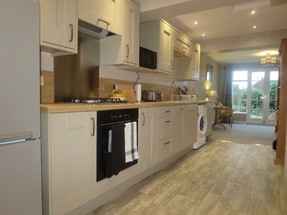 There is a new fully fitted kitchen, with all the modern appliances to help make your stay comfortable and homely, including a washing machine, dish-washer, micro-wave and even a slow cooker. The kitchen opens out into a spacious dining area and sun room, with French doors leading to an outside seating area and patio, with lovely views down the private walled gardens. 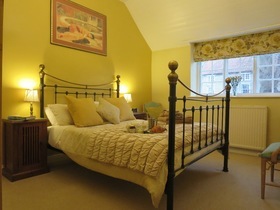 The generously proportioned bedroom is on the first floor, with a King-size bed, & vaulted ceiling, and is light and airy. 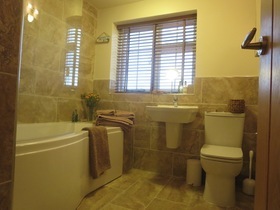 There is an en-suite bathroom which is also fully refurbished and benefits from a bath and power shower over the bath. There is private secure parking at the rear of the cottage, so you can enjoy an amble through the private garden, when returning at the end of a day out, and you don’t need to worry about finding a parking space. We are just a few minutes stroll to the bustling Market Town Centre of Pickering, where you will find an abundance of local shops, cafes, pubs, restaurants, museum, Castle and the famous North York Moors Steam Railway. Please see our web site for booking and pricing information, and more detailed information of our facilities.